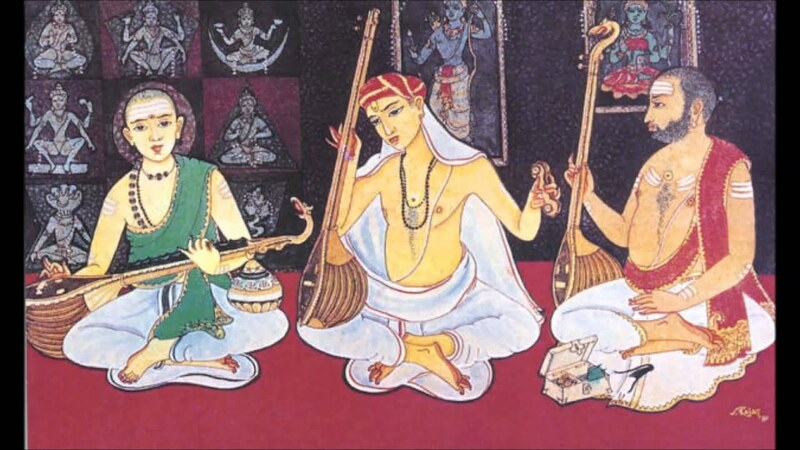 Let me introduce you to the concept of Carnatic Music today, through an amateur’s perspective. My name is Dhwani, which means “sound” and I come from a very musical family! Singing is not new to me and music gives me a homely vibe. So when I read “Sing”, what comes to my mind? Something my Mom does, everyday. It is called “riyaaz”, practice. When I read “Sing”, what clicks in my head? To sing! A happy song, if I am happy, a sad one, if I am sad; if I’m surrounded by people, I “hear” others “sing” through my headphones! The point I am trying to make here is that as much as I love to read and write, to understand emotions and to express them, I find the medium of song quite as much appealing as the others! So, to sing, is to express. Express your emotions, which in Carnatic Music, the Music originating from the South of India, is called “rasas”. These rasas, emotions, are expressed by “singing” songs based on certain defined-in-classical-literature tunes which can be called “Ragaas”. Now, I never delved much into all this but I guess heredity played a pivotal role, so I am aware. My Mom was in concert while I was bouncing around in her womb! So, to express, these Ragaas are used to compose music! Let’s get a little technical then, shall we? I shall cite a few examples from the book, “Ragas in Carnatic Music” by Dr. S. Bhagyalekshmy; examples of various Ragaas and the appropriate rasas they produce! For a little help, I’ll try to include examples of songs from both Indian movies and Western (for me) music so that mass audiences (if this post gets read by many) can understand! The first word is the Ragaa and the word succeeding it is the Sankrit term for the emotion/expression with the English translation in parenthesis (in most cases). So, all in all, I did a bit of research before putting up this post to make it resourceful and hopefully I have incited interest in Carnatic Music in some of you through this! This is what the word “Sing” does for me! Gets me babbling about Carnatic music! Very Informative. I’ll be sure to check the links! Mohana sounds like a great name for my future daughter. I know it’s weird lol but that is the first thing I thought when I saw it. You know what? Mohana is my cousin’s name! And that is a pretty name! If you happen to do that, let me know, ok? Hahaha!